Hello Investor; Ever heard of GULF TRADE (gulftrade.net)? Whether YES or NO this article will reveal if this trading company that claims to pay up to 2.5% daily is SCAM or legit. Gulftrade has a MLM referral structure which spells scam but for networkers this is good news but certainly doesn't depict minimal risk levels. So Today we'll be running a detailed review of GULFTRADE (GULFTRADE.NET) an investment opportunity from GULF TRADE LIMITED. In this review we'll ascertain if Gulftrade (gulftrade.net) is a scam or legit website, is it paying or not paying, risky or safe, if it's an opportunity or doom lurking in the dark. So Quickly grab a cup of coffee let's run through this as fast as possible. 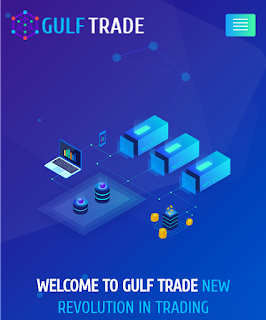 Gulftrade.net is a Trading Platform that claims to pay from 0.9% daily to up to 2.5% daily for a total deposit term of 300days. Know that Gulftrade is a HYIP scheme which spells trouble so it's completely not recommended for serious investors. 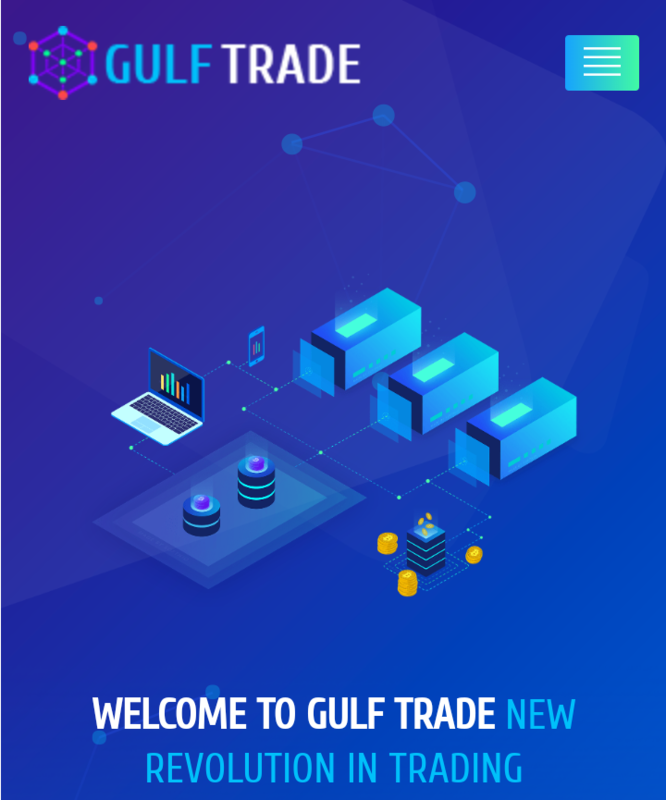 According to Wikipedia "A HYIP or high-yield investment program (HYIP) is a type of Ponzi scheme, an investment that promises high return on investment by paying previous investors with the money invested by new investors"
However the Gulftrade Ltd management claims the company is legit and trades on forex and crypto markets, GULFTRADE claims it's company is into real trading with a team of over 10 professional traders and therefore investors funds are secured and put into a real business and not a ponzi scheme. That's a Huge lie as there's no reality to this fact, no proof of trading or traders or company information. The so called company isn't even registered with no real information of CEO or other management of the company. Aside claiming to be really serious with business, We a 20% DEPOSIT INSURANCE deal from the so called company Director for our INVESTORS. Here's Why We Couldn't Work With These Scammers: Just few weeks after insurance and $500 in shares released for Bitinvestors Club, The company was so desperate about investments and not investors safety. We've got the investors but security is my main concern at all times so I personally didn't put in work at first and this happens to all companies. You could confirm from Dualmine, Elirtex and others. We simply take really long to work. Now Gulftrade refused to give out payments and we discovered some system glitches and account issues regularly. That aside, We only met this so called company leader through whatsapp who has no real picture and Just a newly registered number for BUSINESS. #Spells Scam. HERE ARE SOME REASONS THIS COMPANY IS SCAM. 1. No legal information, Registration information or insurance: The company isn't registered or regulated by any government which spells scam real time. 2. Unbelievable ROI - 2.5% daily is way too much, no real business would pay this much. 3. No information about CEO or management which means they can close the website and without trace your funds are gone. 4. Unprofessionalism - Some few weeks in this company and i must testify that they're not ready to manage huge amounts of funds. 5. It's a PONZI scheme: an HYIP is an HYIP, It'll crash and there's no telling when that would be, so i don't advise you risk your money. 6. Whatsapp Support: Another company came with such scam tactics (SUZUKI COIN LTD) and they gained investors trust. Infact we worked with them and after 3 months they were gone. An HYIP is always a scam, Do not trust or Invest on any except with professional advice on when to and when not to invest. Please avoid Gulftrade, Our video review shows payments from other so called leaders. My Advice: Please stay away and follow only our recommendations.